Sonbhadra is the 2nd largest city of Uttar Pradesh. It has many Electrical Power Plants and also known as “Energy Capital of India”. The average literacy of the city is 64.03% which is lower than the state average. The city boasts some very good education Centers, Colleges, Universities and Schools imparting higher and quality education to the students for their bright future and successful life. Apart from this, Technical education is in great demand now. So, Govt. opened many ITI’s (Industrial Training Institutes) to provide technical as well as non-technical education to the students. At present, the city has 2 Govt. ITI’s and 25 Private ITI’s. They offer more than 130 trades. ITI’s are post-secondary schools in India to provide training in different courses constituted under DGET (Directorate General of Employment & Training). Admission to the various courses is done every year in August. The minimum duration of these courses is from 6 months to 2 years and the age limit is up to 14 years. 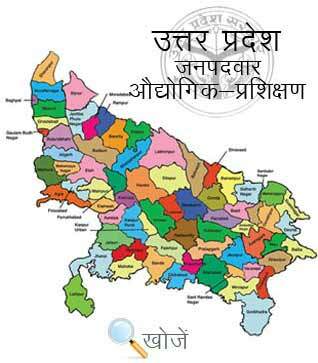 Vyavasayik Pareeksha Parishad (www.vppup.in) Uttar Pradesh is responsible for conducting the entrance examination for admission to different courses in State ITI’s. Also, students can visit online website www.upiti.in as well. It offers updated information to the students regarding admission, online downloading application forms, checking results, important dates etc. to the students.